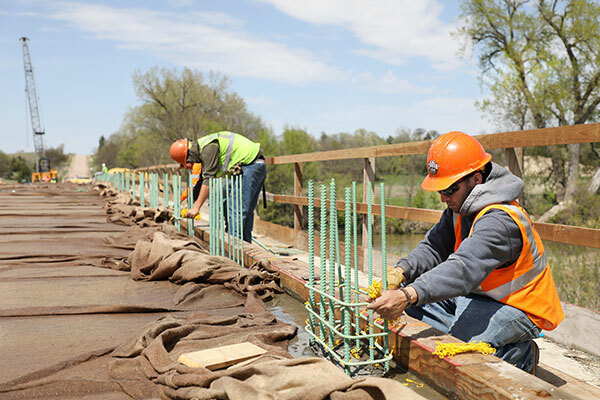 Located in Atlantic Iowa, A.M. Cohron & Son, Inc. is a leading bridge construction company specializing in heavy construction projects. 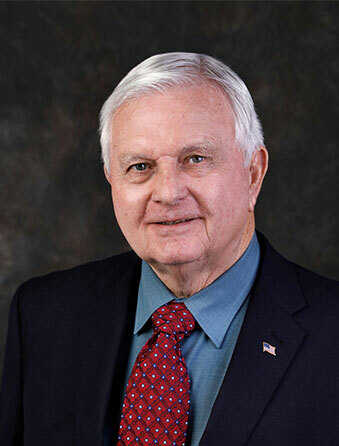 Founded by Arch Cohron, we have been involved in major construction projects across the Midwest since 1928. Our company offers exciting career opportunities for individuals interested in working on challenging large-scale construction projects. A.M. Corhon & Son is a multi-generational family owned and operated company that has a desire to be nothing short of excellent. For our clients and our employees. We believe that every employee is entitled to a safe workplace. For over 40 years we have been a leader in workplace safety. Safety is at the forefront of everything we do. 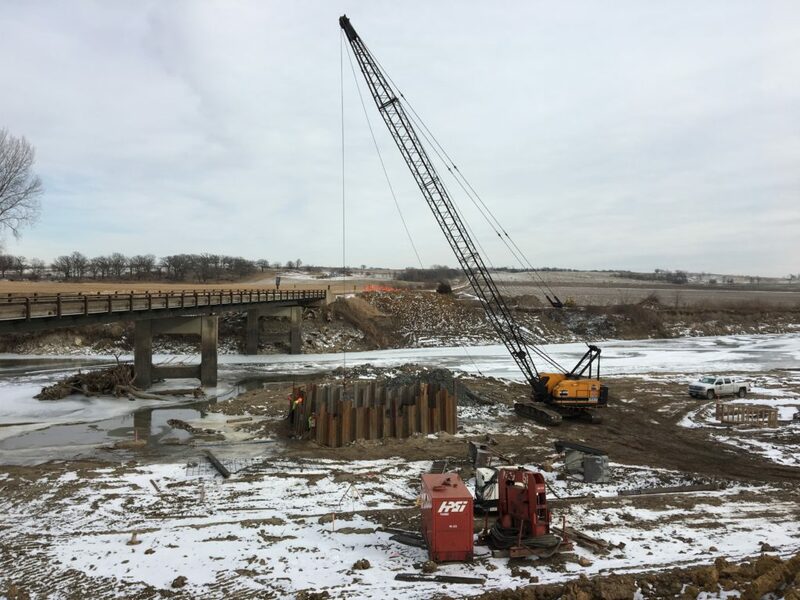 Located in Atlantic Iowa, A.M. Cohron & Son, Inc. is a leading bridge construction company specializing in heavy construction projects. 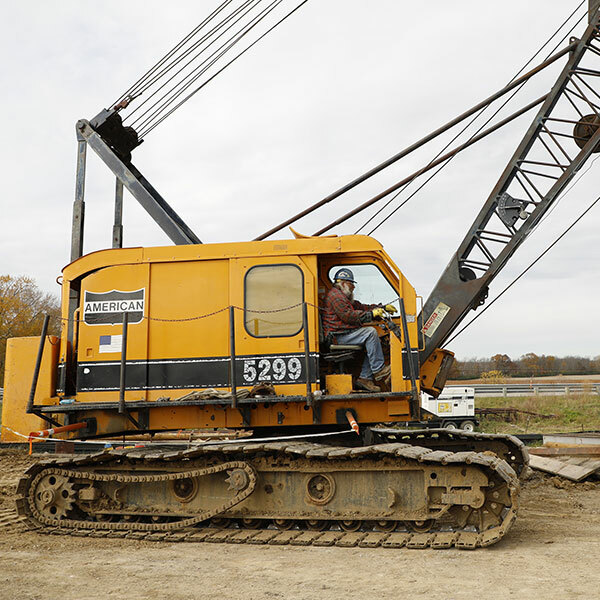 Founded by Arch Cohron, we have been involved in major construction projects across the Midwest since 1928. From our humble beginning building maintenance garages for the Iowa Highway Commission to our first bridge project that was completed in 1930, we have completed several major bridge projects and have worked on a variety of other construction projects including pumping stations near the Mississippi River, municipal swimming pools and commercial buildings. 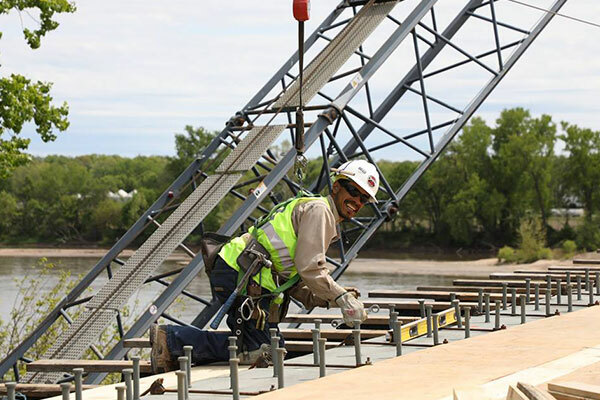 A.M. Cohron & Son, Inc. is a bridge construction company that prides itself on a solid reputation of superior craftsmanship and meeting our customers' schedules. We require continuing education for our team, and bring the knowledge of the testing laboratory and the field together to continually improve our building techniques. We are always looking for ways to expand on what we do and to find new ways to utilize the equipment we have. 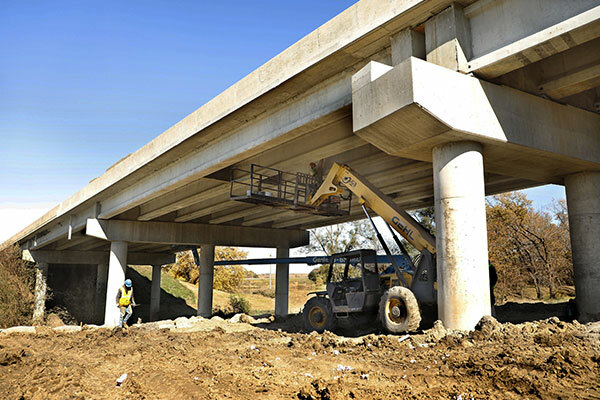 A.M. Cohron & Son is a Heavy Highway Contractor specializing in removing and replacing bridges. We continually look at work in Iowa, Kansas, Nebraska, and Missouri though we are always open for expansion into other areas. 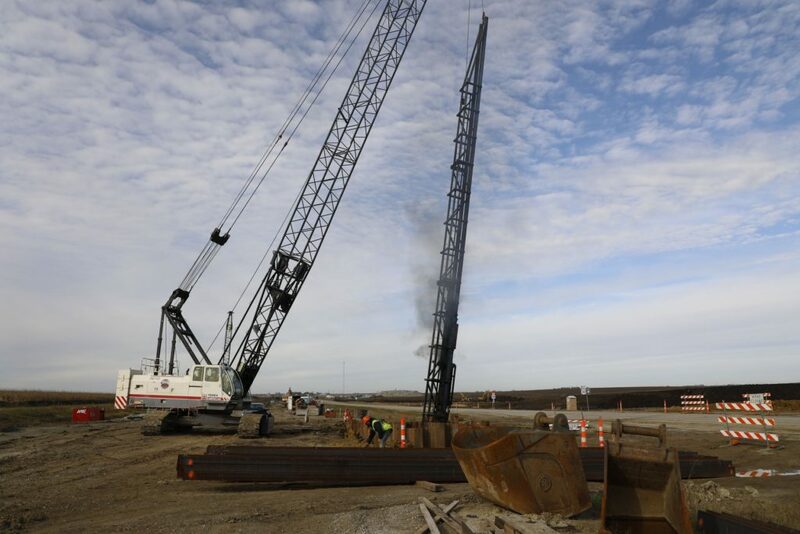 A.M. Cohron has the equipment needed to get the job done safely, effectively, and within budget. For over 75 years we have continued to update and expand our fleet of equipment to meet the needs of the projects being built. 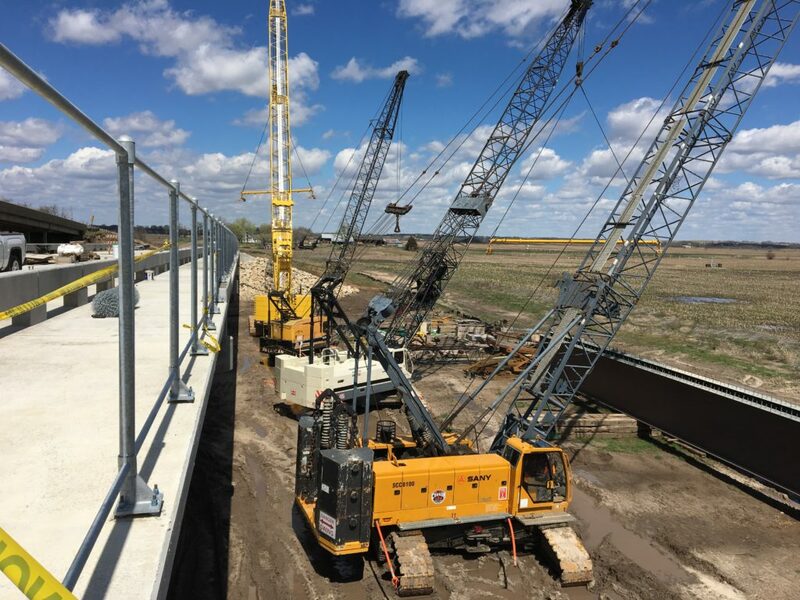 Nearly 40 crawler lattice boom cranes ranging from 23 to 100 ton capability. 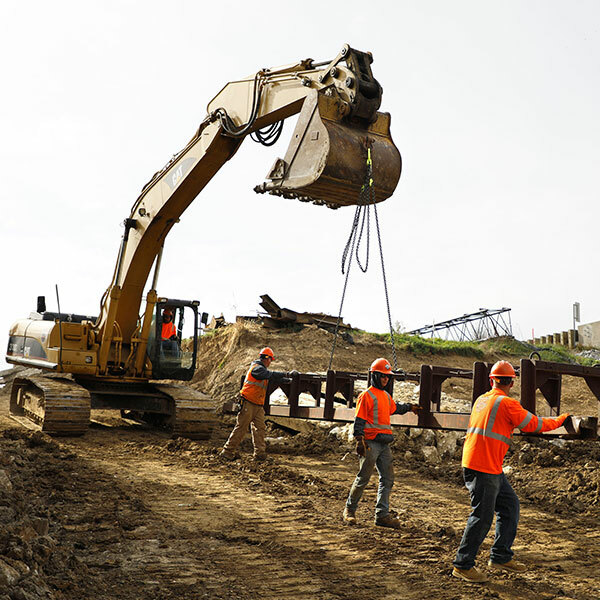 Numerous Dozers, loaders, and excavators ranging in all sizes. 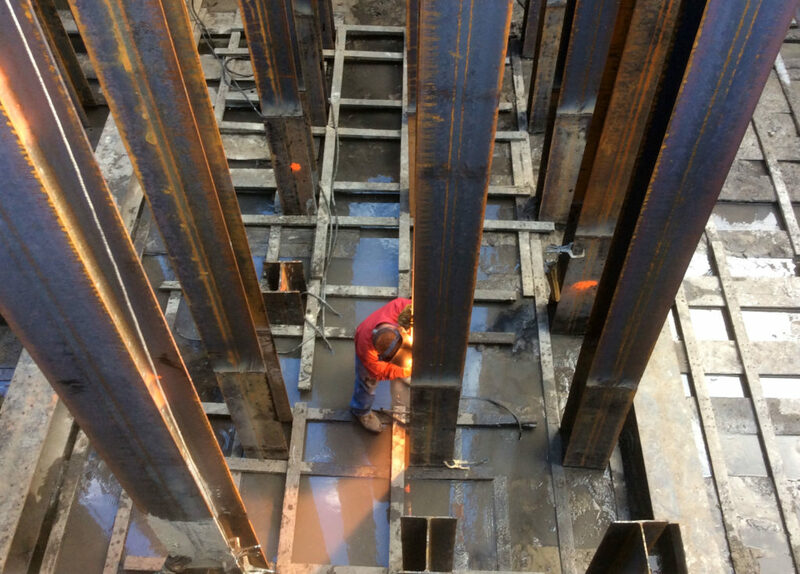 Diesel and Hydraulic hammers for driving Sheet Pile, H-Pile, Pipe Pile, and Concrete Pile. Along with these larger pieces of equipment there are many smaller and more specialized tools that we put to use on a daily basis. Let's build together. A.M. Cohron & Son is always looking for motivated individuals to join our team. Please click link to view current career opportunities and job applications. 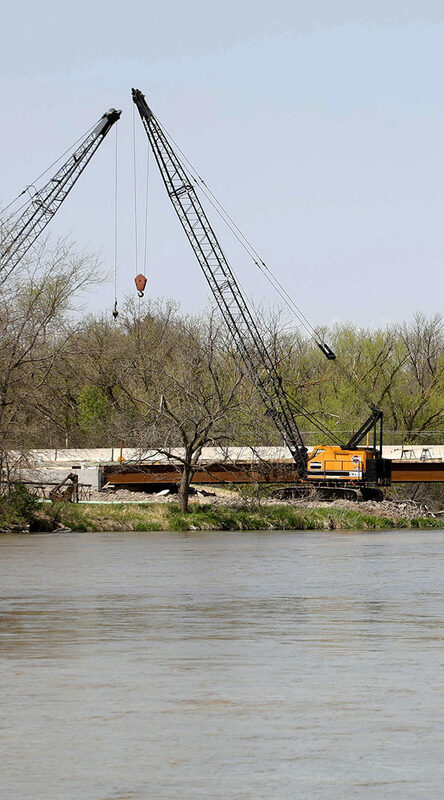 A.M. Cohron & Son is one of the largest bridge builders in Kansas, Iowa, Nebraska, Missouri, and Arkansas. View below to see just a few of the featured projects that will help you better understand what we do on a daily basis as a company. 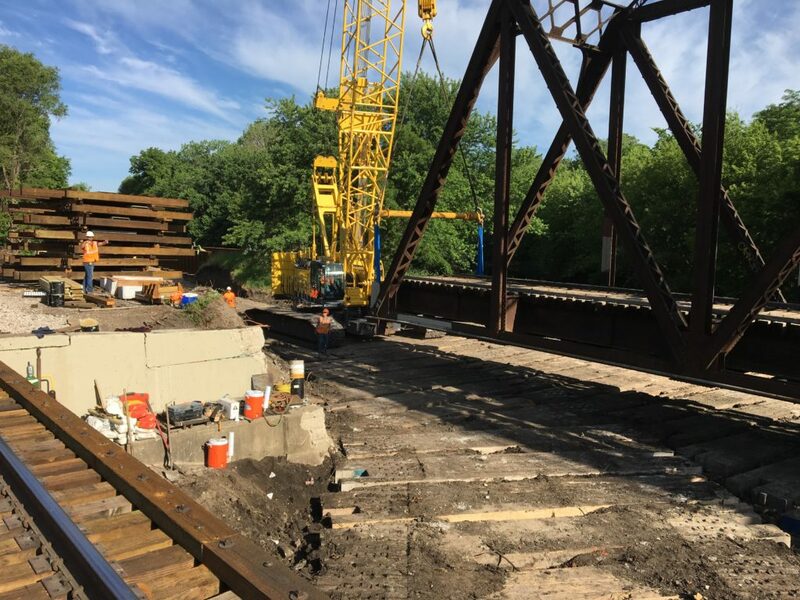 We had one day to remove and replace this bridge for the Iowa Interstate Railroad. 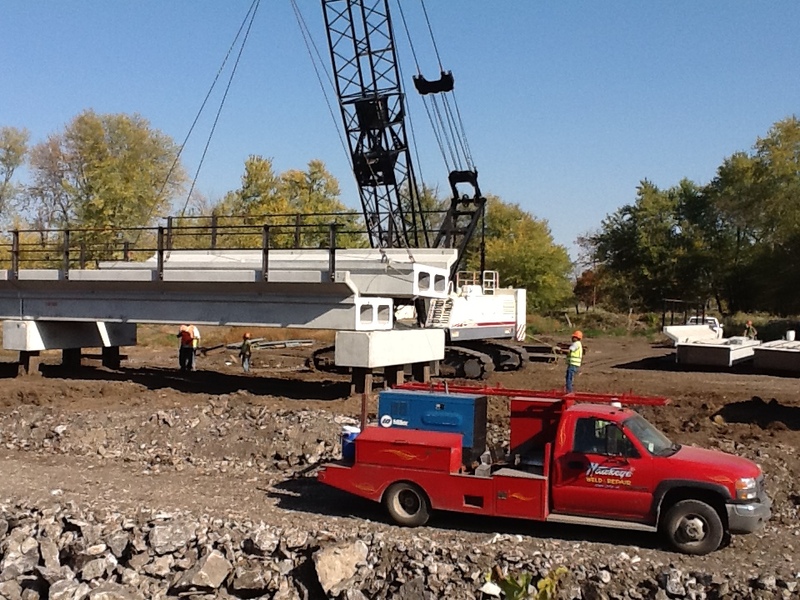 A few pictures from the start of a steel girder bridge in Topeka, Kansas. 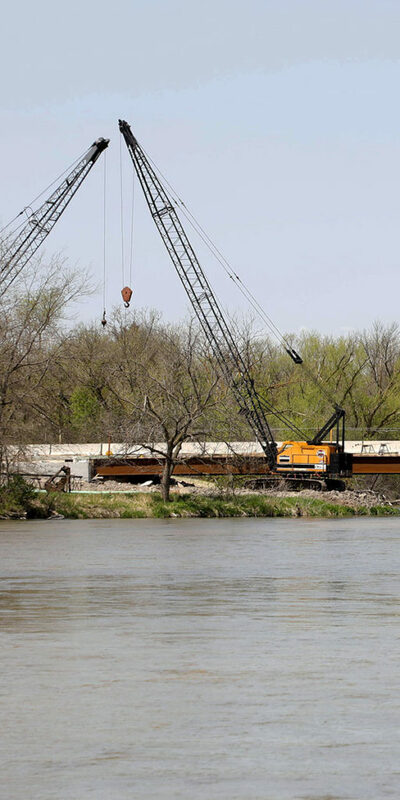 The demolition of the bridge, built in 1955, capped a more than $18 million project replacing the failing structure that carried Carlson Road across the river. 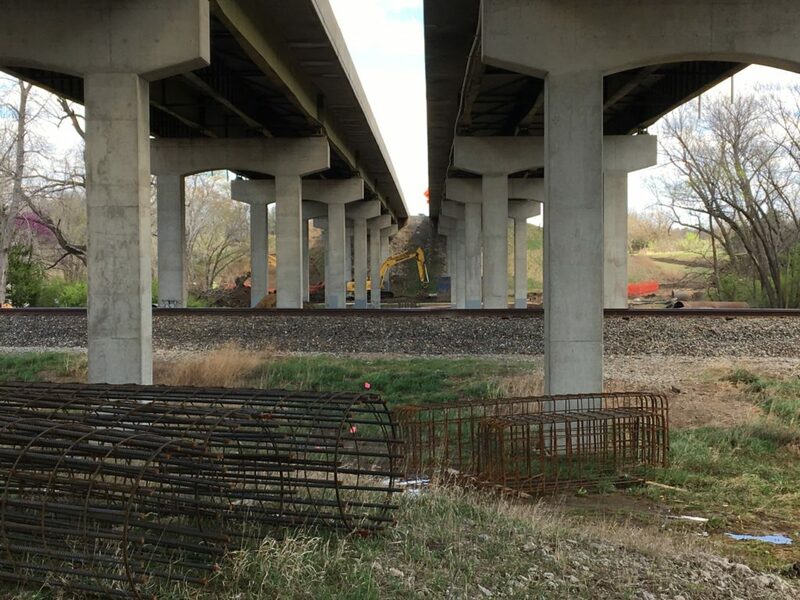 Setting Steel Girders in Shawnee Co. Willard bridge over Kansas River. 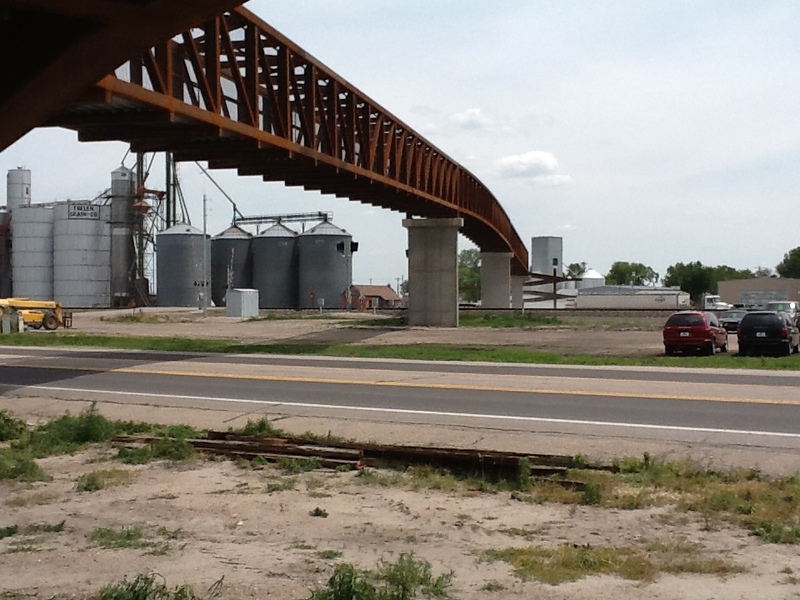 We built a viaduct and Pedestrian Bridge over the UPRR at Hershy NE. Featuring works in Eastern Iowa from the past year. A.M. Cohron & Son is excited to showcase different aspects of the work we do. Below is a section of videos that captures various stages of our projects. 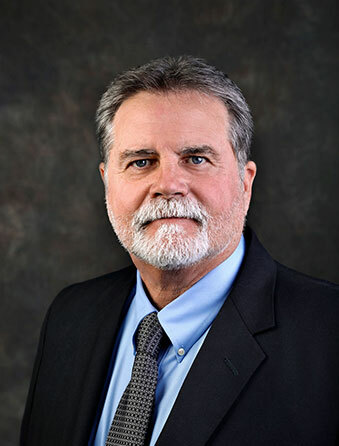 A.M. Cohron is dedicated to continually teaching and mentoring our employees. 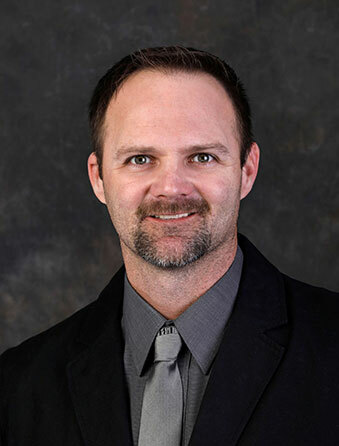 Many of our Superintendents, Foreman, and Operators have been promoted from within the ranks of our employees, and we are proud to have them working for us. They pass down the quality, leadership, and integrity they learned. On this map you will see the current projects A.M. Cohron & Son, Inc. is currently working on currently in the states of Iowa, Nebraska, Oklahoma, Kansas, and Illinois. We would apperciate the opportunity to answer your questions. Whether you're looking for a potential career or a potential client, A.M. Cohron & Son Inc. is eager to speak with you. Our family of employees truly care about the quality of work and our client's satisfaction. We care about the prosperity of our employees, our community and the future of our environment.